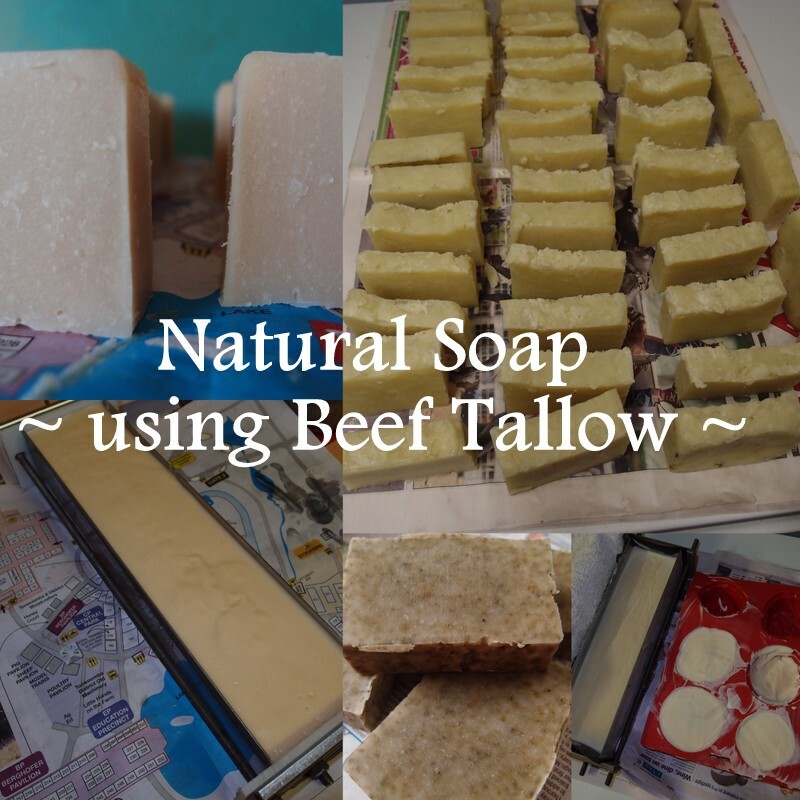 We achieved the first aim recently when we made 100% tallow soap from our own beef. That means that the ingredients were tallow, rainwater, caustic soda and essential oil. The only thing we had to buy was the 100g or so of caustic soda and 15mL of essential oil, so that was pretty close to being locally sourced ingredients. (I am interested in making soap from wood ash instead of caustic, but that is another project!). That was a very plain soap, and fine for Pete and I to use, but we wanted to make something a bit nicer to give as gifts and we wanted to smell to last longer. 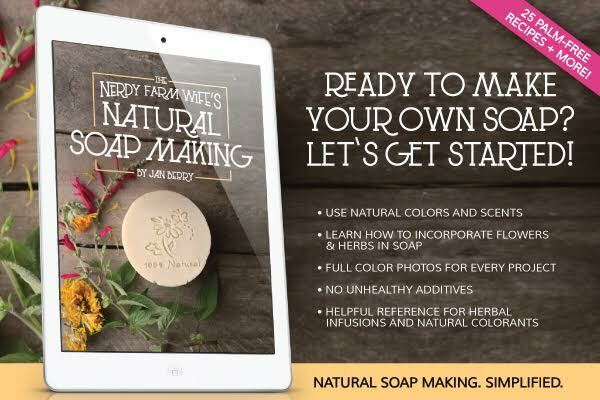 I came across the Nerdy Farm Wife Jan Berry’s ebook “Natural Soap Making” (Affiliate link) at just the right time (actually it would have been good to find it earlier, as it starts with a great step-by-step guide with photos of each step, perfect for beginners). 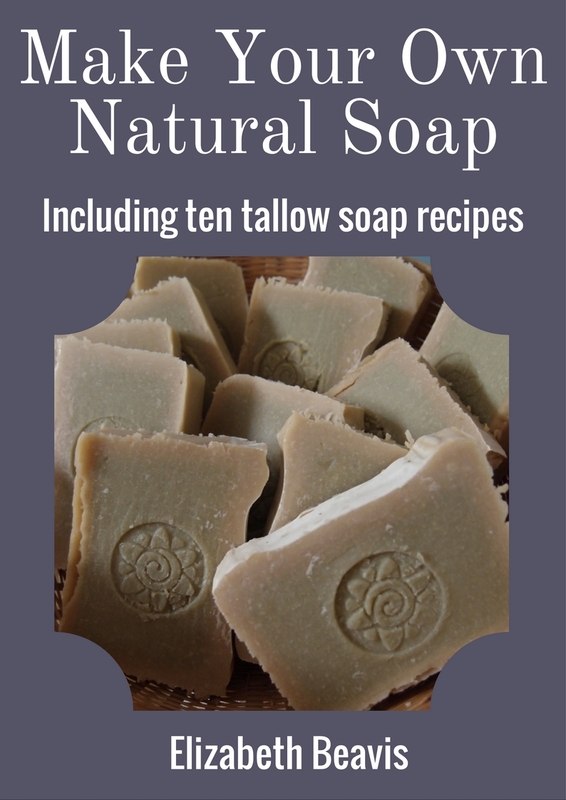 We had mastered our plain tallow soap and we wanted to know how to add natural colours and scents, and that is exactly what this book is about, although Jan uses different oils instead of tallow. “Natural Soap Making” explains how to use herbs in your garden and other naturally occurring clays and powders in your soaps, including using herbal teas with the caustic mixture, infused oils and powdered herbs. 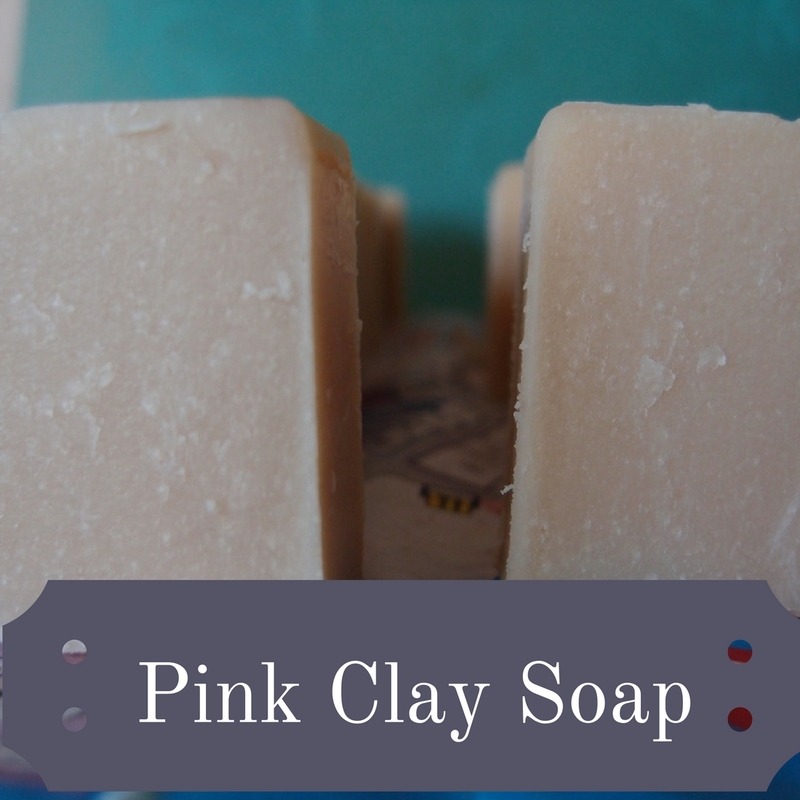 I didn’t follow an exact recipe, because I wanted to use tallow, but we did try several of the ideas and produced some lovely soaps. I recently wrote that I have plenty of lemon balm in the garden. As it was growing vigorously, and has strong healing properties, I decided to use it in soap. I made an infused oil in macadamia oil, and I dried a handful of leaves to be pulverised in a coffee grinder. This produced a grey/green flecked soap. We used an essential oil blend for the scent. (And Pete has further refined his stainless steel moulds). 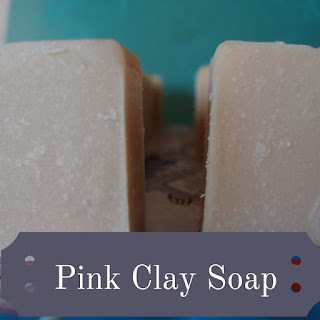 After we made the first soap, I read more about which essential oils would hold their scent longer, and patchouli is recommended, so I chose a patchouli blend for this soap. I also wanted to try using clay, and we had a packet of zeolite, which isn’t in the book, but I used a similar amount as recommended for the other clays and mixed with water before blending, as suggested. I also wanted to try using a herbal tea with the caustic. I made a rosella tea as I thought this would add pink colour, but when I started to mix the caustic the lovely dark pink turned putrid green! I think it was too acidic. I neutralised it with vinegar and threw it out. I just used water with the caustic, so I still need to try making a soup with a herbal tea for the caustic mixture (I will use one that is recommended next time!). With just the zeolite, result was still a nice peach colour and so far the scent is lovely. I think we’ve produced some nice soaps that we can use as gifts and for a bit of fun (and now we have far too much soap again, so we need to use some before we make any more). I highly recommend Jan’s ebook “Natural Soap Making” for beginners and experienced soap makers. It contains 25 recipes if you don’t want to invent your own, but you can also just apply the tips and tricks to modify a recipe that you already prefer. Pete's stainless steel moulds looking good! My only complaint was all the units in imperial, make sure you write out the conversions to metric before you start making anything! Try this calculator to convert to g or change your scales to oz before you start. Do you make soap? Do you use natural colours and scents? 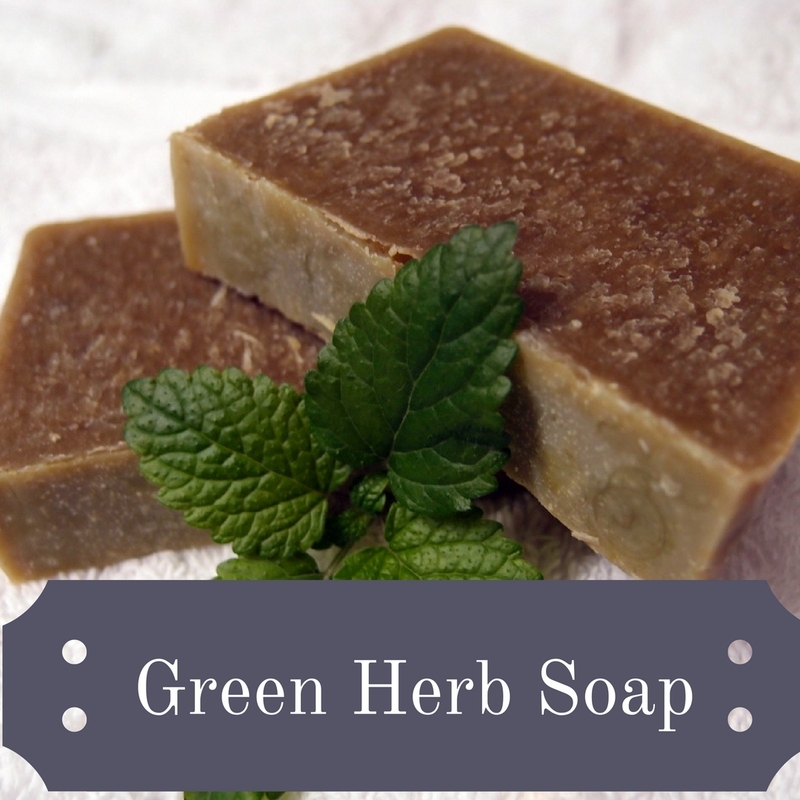 Do you use herbs in your soap? Disclaimer: The ebook was sent to me by Jan to review and I have signed up for the affiliate program, so if you buy it through me, I get a small commission. You know that I wouldn’t recommend it if I didn’t think it was a great book. If you disagree with me, let me know. Also, while I have reproduced for you the soap recipes that I used, I take no responsibility if they don’t work for you or cause any harm, sorry, but you make soap at your own risk! And don’t use rosella tea with the caustic!